Allowing full access does NOT give us access to any of your other keyboards, only to this Emoji keyboard. 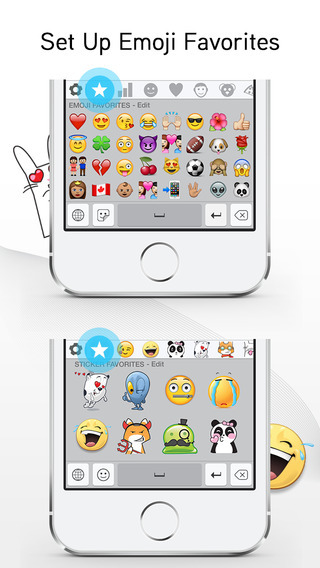 Full access is necessary for the Big Emojis, Stickers, and Favorites features. However, if you are not interested in these features, you can still use the Emoji keyboard without granting full access. Thank you. * Big Emoijs and Stickers are sent as images. Additional MMS and data rates may apply. If you are a fan of emojii's this is the app for you! I love all of the new emotes and flexibility this one offers. Even has an addictive little game and I dont regret this purchase. Makes texting even more fun and creative!